Aikman Drive, Belconnen. The duplication project has been completed ahead of the new hospital at the University of Canberra. Photo: Supplied. Access to the Belconnen Town Centre and the upcoming rehabilitation hospital at the University of Canberra will be easier after the completion this week of the Aikman Drive duplication project. Minister for Transport and City Services Meegan Fitzharris said the duplication was necessary because of the expected increase in traffic associated with the new hospital, which is due to open in 2018. “The Government recognised that Aikman Drive would experience increased traffic as a result of the hospital, and I’m glad that we have been able to complete this project ahead of the opening of the facility next year,” Ms Fitzharris said. She said duplication also improved access to the growing Town Centre, including the new bus interchange. “The new Black Rapid Bus will travel past the hospital every 15 mins or more often along Aikman Drive,” she said. The project duplicated Aikman Drive between Ginninderra Drive and Emu Bank and improved the intersection of Aikman Drive and Joy Cummings Place for access to the new University of Canberra Public Hospital (UCPH) and for residents to the west. It also created a shared use path in the eastern verge of Aikman Drive between Ginninderra Drive and Emu Bank, as well as in the southern verge of Ginninderra Drive between Aikman Drive and Allawoona Street. 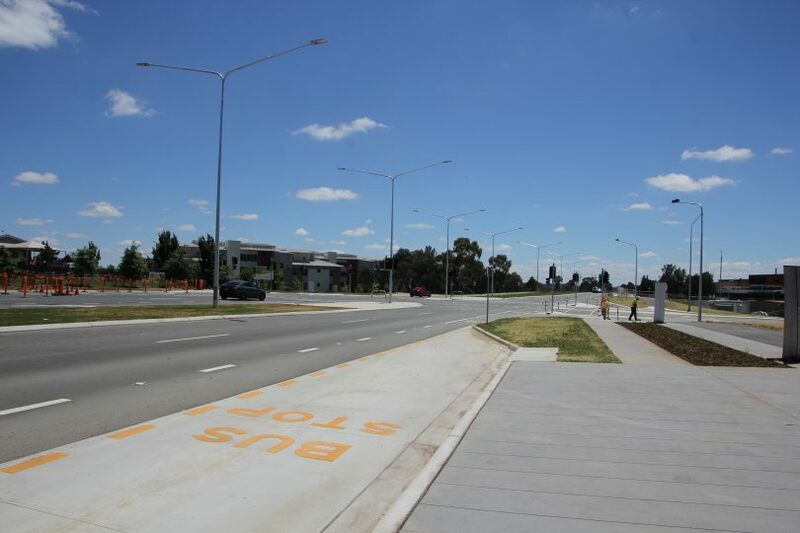 There are also on-road cycle lanes between Ginninderra Drive and Emu Bank, and the UCPH east-west access road has been extended through to Pantowora Street. High-density native vegetation has been planted in the Aikman Drive median and eastern verge. Government also went into the election to duplicate Athlon Drive and Ashley drive. Ashley drive looks like no one is working on it 90% of the time and Athlon drive got a new bus stop which indicates subtly that it’ll never get duplicated.